High school suits should be comfortable and functional. Once your child has decided to join the high school swim team, it’s time to start thinking about the swimwear they will wear. While high school suits aren’t really any different from other competitive swimwear, you may have specific requirements you need to follow. Whether you’re looking for jammers, briefs or kneeskins, it’s essential to ensure you are making the right choices. While some may argue the major swimwear brands aren’t worth the added cost, there’s a reason they have been in business so long and are trusted by many of the most popular competitive swimmers. Speedo, TYR, Dolfin, Arena and others offer the swim team suits you need to remain competitive and give you a comfortable fit. The higher cost will often be defrayed due to the length of time these suits often last. If you haven’t been involved in competitive swimming before, you may wonder why you can’t buy just any swimsuit off the rack at your local department store. After all, some of them also have major names like Speedo. However, these suits aren’t designed for competition at all. They are designed for casual, recreational swimming. When you browse through the selection at a dedicated swim shop, you will soon see the difference in the jammers, briefs and kneeskins they have to offer. High school suits are constructed of different materials than you will find in your typical recreational suits. The biggest brands in swimming have each constructed their own revolutionary materials that are designed to help swimmers reduce drag and move more effortlessly through the water. Take the time to feel these suits and find the one that will offer you the most comfort, as well as improve your performance in the water. Choosing the right competitive swim team suits can be overwhelming, especially if you haven’t been involved in swimming before. However, with a little research and the guidance of an experienced swim shot, you can find high school suits that will help you perform your best without investing a lot of money into a sport you may not pursue after high school. Regardless of your long-term intentions with swimming, it’s always best to select the right type of suit for the job. If you’re looking for the best competitive swimwear for your high school team, contact us. We offer a vast selection of the latest in swimwear from the biggest names in swimming. Nike Performance Poly has plenty to offer. Most casual swimmers look at a swimsuit and believe besides the color, pattern and cut of the suit, one swimsuit is the same as the next. Swimsuit material is essentially the same on every suit, right? If you’re a serious competitive swimmer focused on results, you know how wrong that assumption is. You know milliseconds can mean the difference between victory and defeat. That’s a fact Nike understands completely and the reason so many professional athletes insist on Nike for their training and competition gear. Nike’s performance materials are not run-of-the-mill swimsuit materials! Available in your favorite team colors, as well as eye-catching designs, performance poly is one of the materials featured in Nike’s new collection of competition swimwear. Not only will your training and competition swimsuits look sharp, they will give you a competitive edge and shave valuable time off your results. Nike Performance poly is comfortable and lightweight, durable, can stand up to long sessions in a chlorinated pool and retain color-fastness and resists stretching. This is an Olympic year, and competitive swimming is in the spotlight. If the Olympics have inspired you to “kick up” your game, make sure you’ve got a swimsuit that is up to the challenge. The other material you will see in Nike’s new competition line is a performance poly blend. This material delivers outstanding performance, fit and support. Unlike the Performance Poly, which is 100 percent polyester, Nike’s performance poly blend suits are 82 percent polyester and 18 percent Spandex. The fabric has just a little more give and stretch than the 100 percent Poly suits. Whether you are looking for a lingerie tank suit, a retro-pattern cutout suit, a prism-pattern or signature Nike Swoosh brief or any other sporty pattern, you’ll love the options in the Performance Poly Blend fabric. Whether you need a jammer, a brief, a fastback one-piece tank or any of Nike’s training swimsuits, you’ll find an excellent assortment of options crafted with these winning materials. Where you buy your competitive swimwear is almost as important as the swimwear itself! Make sure to shop with a provider that carries only authentic Nike suits and offers outstanding customer service support should you need it. Contact us at D&J Sports. We are the smart choice for all of your competitive swimming needs. Water Aerobics swimwear is different than your typical swim suits. Water aerobics is a great method of getting in shape for most individuals. The weightlessness achieved in the water provides a less stressful workout so even those who experience physical and medical difficulties can use this type of aerobics to get in shape and stay in shape. However, you shouldn’t choose just any swimwear for your water aerobics classes. If you plan to exercise in the H2O, you need aqua fitness swimwear for a number of reasons. One of the advantages of choosing fitness swimwear for your workouts in the water is greater coverage. Those who choose to work out in the water are more likely to carry a little extra weight, which can make them more uncomfortable in a traditional swim suit. Instead, many swimsuits designed for aqua fitness feature more coverage on the legs and other trouble areas of the body. The type of material swimwear is made from can have an impact on how long it lasts, especially if you are primarily using them in a chlorinated pool. Most H2O fitness courses take place in a pool on a regular basis, which means your swimwear will be exposed to a vast amount of this chemical on a regular basis. If you are also wearing sunscreen, it can create even more wear on your suit. Most aqua fitness suits are made from polyester, giving them greater longevity, regardless of how much time you spend in the pool. Whether you like to wear fun swimwear or you prefer to wear bold colors, you will find swimwear that matches your style. Some people like to look great while they work out in the water, giving them more motivation to get in shape and stay that way. Choose a swimsuit that complements your figure and comes in a color or design that makes you look and feel better about yourself. Choosing aqua fitness swimwear is necessary to ensure you can make the most of your water aerobics experience. These swimsuits typically offer more coverage than your average swim suit and are available in fun designs and bold colors for the perfect combination. They are also made from more durable fabric, giving them the longevity you need so you don’t have to worry about replacing it too often. If you are interested in purchasing a new swim suit for your water aerobics class, contact us. We carry a wide selection of swim wear that is ideal for working out in the water. Swim warm up suits are the perfect way to stay warm out of the water. Swimmers spend a lot of time going in and out of the water. Whether the pool is located indoors or out, there are times when it can be cold when swimmers get out of the pool. Even when the temperature isn’t cool, it can feel that way to wet swimmers. The best solution to this issue is the Speedo Streamline Warm Up Pants and Jackets. This swim gear is a necessity for anyone who wants to keep warm before getting in the pool and after getting out. When you wear the Speedo Streamline Warm Up Suits, you will experience a stylish fit that allows you to be comfortable and keeps your body warm. When you are warmed up for your swim races and even practices, you want your muscles to stay warm. The shock of getting out of the water can cause problems, especially if you will be getting back in the water. The great fit these suits offer will allow you to stay warm and ready to go for your next race. Warm up suits are often part of the uniform that swim teams use. 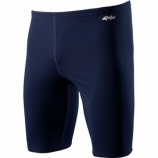 For this reason, the Speedo Streamline Warm Up suits for men, women and youth are available in several colors. This allows every team to purchase one that will fit with their team colors and help unify the team. Some of the colors include navy/gold, black/red, navy/red, black/green and navy/blue. These color combinations create great choices for every team. Even people who don’t swim competitively and want to stay warm when they get out of the water can benefit from these warm up suits. They are easy to slip on and off, making them convenient for all swimmers. No longer do swimmers have to towel off by the poolside and sit in their swimwear. They can dry off and put on their warm up suit or even simply slip it on without drying off completely. 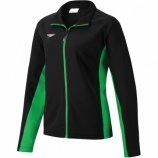 Swim warm up suits are a great option for individuals who will be entering and leaving the water repeatedly. Even when the weather isn’t cold or the pool is located indoors, standing around in a wet swimsuit can lead to feeling cold. This can lead muscles to tense up, making it more difficult to swim. The right swim warm up suit will keep your muscles warm and help you swim better. Finding the right swim team suits is essential to help your team stand apart. You need your swim team to look uniform so everyone will know which team they are a part of. This often means choosing swim team suits that do not have designs and come in a variety of colors to best match the ones chosen for your team. 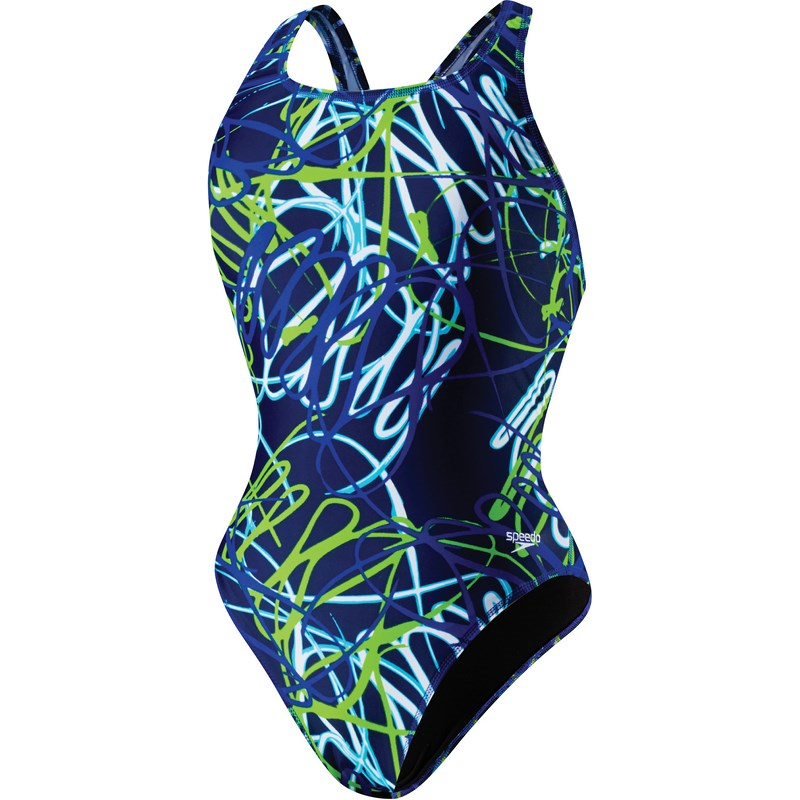 One of the best options for a uniform look for your team is the Speedo Solid Swim Team Suits. These incredible suits come in several colors and give your swimmers the flexibility and mobility they require in the water to swim well. The Speedo Solid Swim Team Suits comes in several colors so you can choose the one that goes best with the theme of your team. Some of the colors from which you can choose include black, sapphire, navy and red and navy. If you don’t have a specific color that represents your team, talk to the team members and find out which one they all like. As long as you purchase the suits together, you can be sure everyone will know which swimmers are on your team. Speedo is one of the top names in competitive swimming. When you purchase these Lycra team swim suits, you can feel confident they will hold up to the normal wear and tear of pool use. These suits offer an incredible range of motion without chaffing from the straps or the other parts of the suit. It also features a low drag profile and no-slip straps to further help you move through the water. Choosing the right colors isn’t the only method of customizing the Speedo Solid Swim Team Suits for your team. These swimsuits can also be customized by embroidering or screen printing your team logo directly on the suit so there will be no mistaking your team members, even if another team has chosen the same suit as you. Everyone will ask you where you purchased your unique swim team suits. Swim team suits are a great way to show some unity within your team. If you are looking for the perfect option for your female team members, the Speedo Solid Swim Team Suits is the best option. These suits are high-quality and come in an array of colors to best meet your needs. You can even have your logo placed directly on the suit through screen printing or embroidery for further customization.